Following the huge success of FitFactor India and Mr. BodyPower BodyBuilding Show in key 9 cities namely, Jaipur, Delhi, Ahmedabad, Kolkata, Pune, Mumbai, Hyderabad, Bangalore and Chennai, BodyPower India culminated its India Tour at Asia's largest sport, fitness and nutrition trade exhibition- BodyPower Expo’19- Asia's largest sport, fitness and nutrition trade exhibition. Pushing the boundaries of the body’s power and set across an action-packed three days, BodyPower Expo was an event that simply couldn’t get ignored within the fitness industry, attracting not only International and Domestic athletes, bodybuilders and fitness enthusiasts but also thousands of key buyers, distributors and manufacturers across India, Pakistan, Bangladesh, Thailand, Singapore, Malaysia and UAE. BodyPower Expo featured fitness activities like FitFactor India Championship, Mr. BodyPower BodyBuilding Show and also hosted Miami PRO which is world's most renowned Fitness Modelling show at the Expo. The overall winner of Miami Pro India Championships will get an opportunity to compete at Miami PRO World's Championships which will be held in UK. In addition to the Miami Pro, Dorian Yates Classic Championships was also held and judged by Dorian Yates himself. For the first time ever, BodyPower Expo 2019 featured Women's Panel Discussion called Super Women Of Fitness, Benchpress and Deadlift, Kick boxing and Karate for children, MMA fight on Friday, 11th January, Saturday 12th January and Sunday, 13th January ’19. Additionally, BodyPower also arranged for Ground Assault Circuit at the Expo. BodyPower India is Asia's largest sport, fitness, wellness and nutrition exhibition, set to attract over 50,000+ visitors in 2019, 11th-13th January celebrating its 6th Anniversary in India. 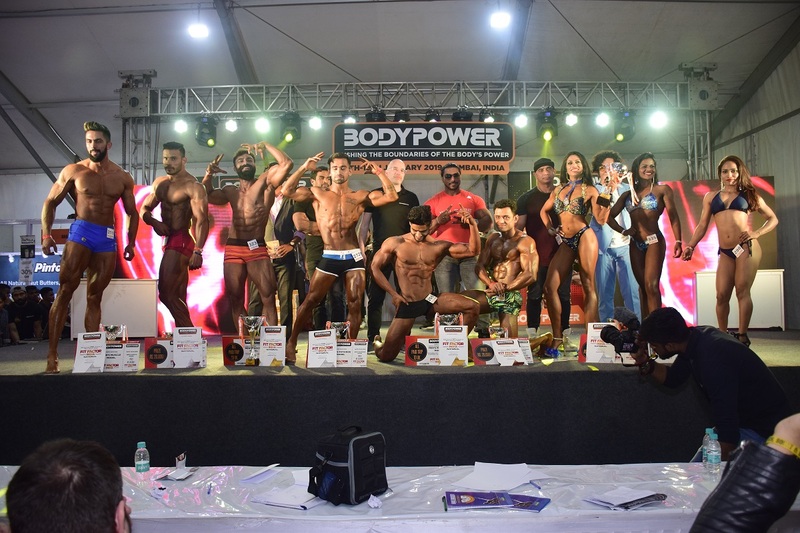 BodyPower India is the fitness hub of Asia, attracting thousands of fitness enthusiasts, key buyers, distributors and manufacturers from all over Asia!